Family Fun Stuff is required! 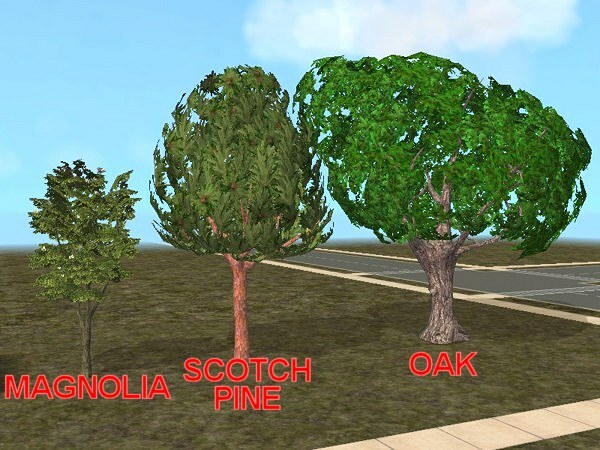 But as usual, only the mesh and the textures could be found in the packages: all the other things (Material Overrides, Object Data etc...) were manually rebuilt, in order to let these trees appear in the game. 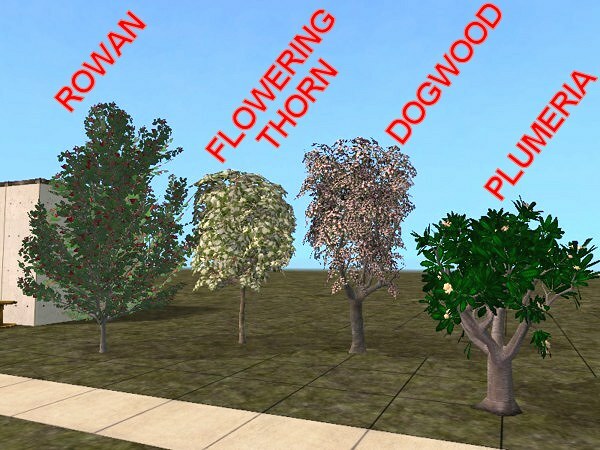 The seven trees have been packed separately, so that you can download the ones you like most (look at the screenshots for the trees names). Once installed, you can find the new trees in the Build Mode catalog (not the Buy mode one! ), in the Trees section.